Holidays are a perfect excuse to spend time with our children making crafts and baking special treats. 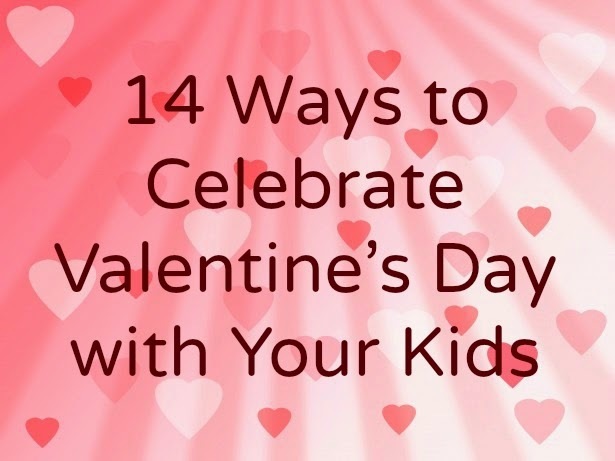 With two daughters in our house, we love all the red, pink, and heart-themed ideas that pop up around Valentine’s Day! Since I’m far from being a crafting queen, I like to keep our projects simple and, as much as possible, use materials and ingredients that are inexpensive or that we already have around the house. Below, I’ve collected fourteen ideas for marking this “love”-ly occasion. Here’s a list of cute and simple crafts. The first four of these come from Michelle at Crafty Morning. I recently discovered her blog and she has so many neat ideas. One year we made these Strings of Hearts and hung them from our dining room chandelier. These free, printable Tic Tac Toe Valentine Cards or these Free Printable Valentine’s Day Bingo Games would be fun to play as a family. While I don’t like eating conversation hearts, I’d buy them just to use in some of these 30 Things You Can Do with Conversation Hearts. Here’s a super cute Valentine’s Scavenger Hunt for Kids. Pinterest is full of Valentine’s Day treats, but here are a few of my favorites. And finally, here’s how we’ve celebrated Valentine’s Day in the past. I hadn't even thought about Valentine's Day yet this year. Oops! I've been busy thinking about Daniel's birthday which is Thursday, although I don't have to plan much. Usually, we read a book or two about St. Valentine and why he was important. Sometimes, I bake something. The past two years we celebrated with our CC group, but I don't think we're having a party this year. And that's fine with me! Oh, I forgot! John is taking the older two girls to a Daddy/Daughter Dance on Friday night, so I'll have Daniel and Mary. I'm sure we'll do something fun, too.